The project plans starts with the feasibility study. According to the requirements of the client V&V develop a business plan. We select the most optimal technological solutions for getting maximum profitability and return on investment of the greenhouse. The general project plan is made based on this feasibility study, the yield forecast and the necessary capital and operating costs. After consultation with the client, a shortlist of requirements will be put together. This list will serve as the base for the further design of the project. 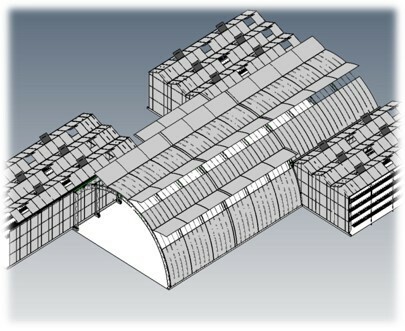 All possible aspects of the project will be considered in the design e.g. the most efficient routing, the various installations, the type of building and of course the required image! 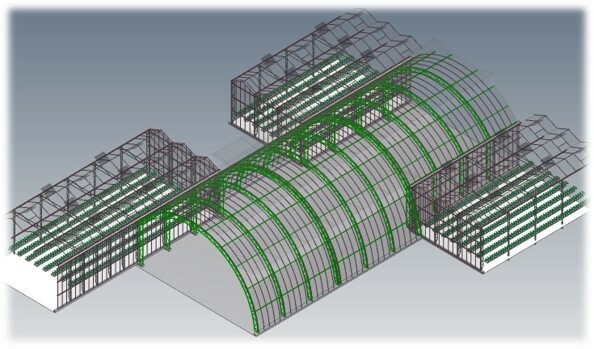 The V&V Group have been operating in the field for many years and gave gained a huge experience with the product 'Greenhouses'. Based on this experience our designers will present an efficient and practical basic design. After consultation with the client this will be visualized in an 'artist impression'. Required plans and drawings will be added and after that a detailed quotation will be presented to the client. After the local authorities have granted approval of the design the official application for planning permission for the 'turn-key' project can be drafted. V&V can provide financing plans in cooperation with investors and banks. Project management can make all the difference between good and perfect realisation of a project. We therefore we take all the latest demands, standards and local guidelines into account from an early stage, particularly standards that relate to safety and food safety. Building a greenhouse is chiefly organising, coordinating and managing. V&V is the perfect partner of taking responsibility for the entire project management. V&V have a worldwide network so we have the possibility in providing a growing manager for your project. V&V have worldwide partners for helping you with your marketing & sales plan.